Who packs like this? Bloggers, that's who! Featured: Raden A22 in Matte Hunter Confession time! I do not own a roller carry on. Well, did not. Past tense. Never thought about it and to be quite frank, I wasn't sure that it was even worth it. Doesn't looking like a lot of space for a suitcase. I always managed to travel by shoving everything I was going to take with me into a backpack and a soft tote. And let me tell you, that gets quite heavy after awhile. While it's so much easier to get around airport annoyances, carrying a tote full of clothes and electronics is anything but light. I started to discover this as I was meandering through the Beijing airport and my gate was miles away on the other side. My gate was so far that it put the Atlanta airport to shame and anyone who's been to Hartsfield International knows that's no small feat. The walk was so long, in fact, that I put my bag on the ground and dragged it by its shoulder strap. I can't imagine what people thought of me! A petite, black American girl huffing and puffing down the corridor while dragging a leather bag on the ground and almost toppling from the weight of her backpack. I was so jealous of all the people who passed me, gliding along with their tiny suitcases on wheels and Starbucks in hand. I sweared then and there, that before I ever went on another trip that I would get with the program and stop breaking my shoulder with all of these bags. And believe me, I own quite a few. 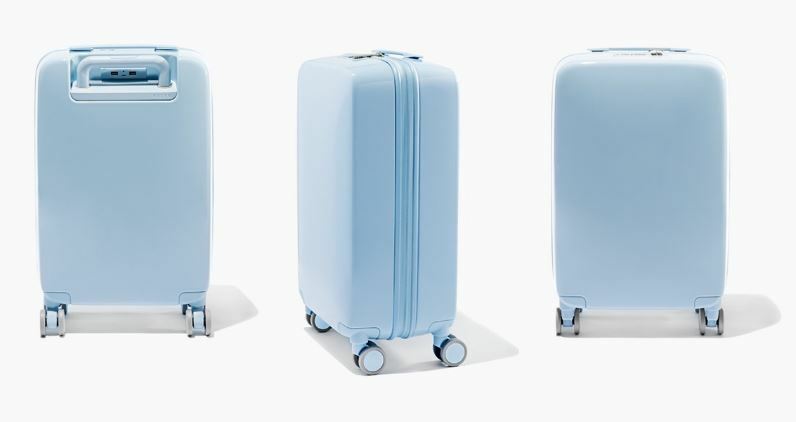 So I looked up cool, sleek mini-suitcases (carry ons, for you word junkies) and the Raden A22 was getting quite a bit of buzz. The A22 is a small, chic and simple suitcase, without any fluff or a dozen pockets to lose your eyeliner in. (A huge problem for me, for some reason.) No external compartments or cheap zippers all over. The only bit of extra design is the USB ports on the back, because Raden is aware that everyone likes to post up near the outlets and charge 3 devices while your battery dies. The 2 ports are powered by a 7,800mAh battery, which allow up to 4 full charges. The battery pulls double tech duty by also syncing up with Bluetooth to connect to an iOS app that tracks your bag through GPS (if you check it) and weighs your suitcase (if a certain "airline" forces you to check it and then pay). As a ride or die Android fan, I wasn't able to review this feature, but I hear a Droid version is in the works. The carryon also contains a built in, manual exterior zipper lock. Which is great because I lose my luggage key all the time and can't afford to cut this suitcase open. Check out this sleek design! 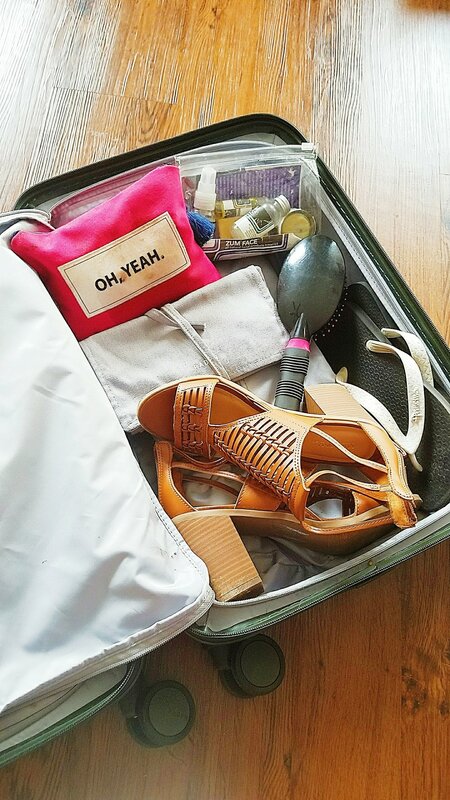 I always wondered how I would handle getting all of my items into a tiny suitcase and then I realized it all comes down to how you pack it. 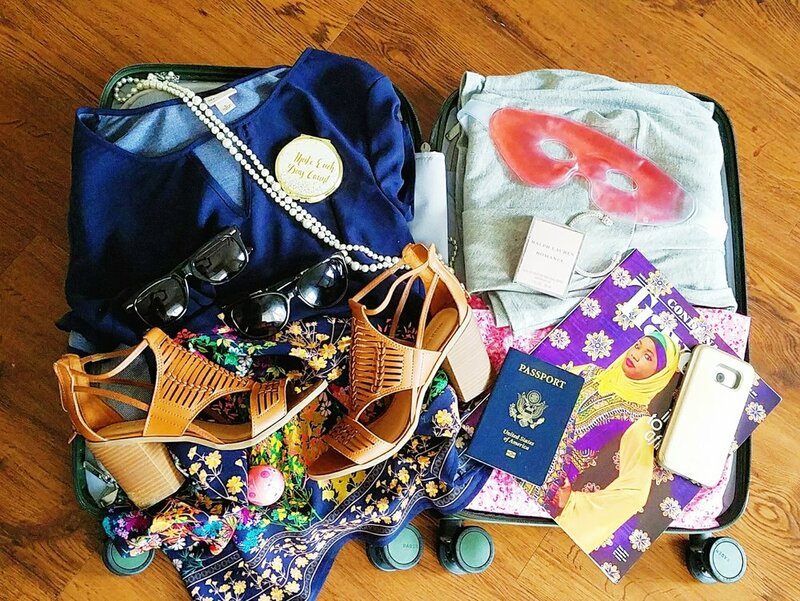 All these years of traveling carry on, I should know a thing or two about packing. I always carry about 7 outfits where ever I go. More when they are all dresses! 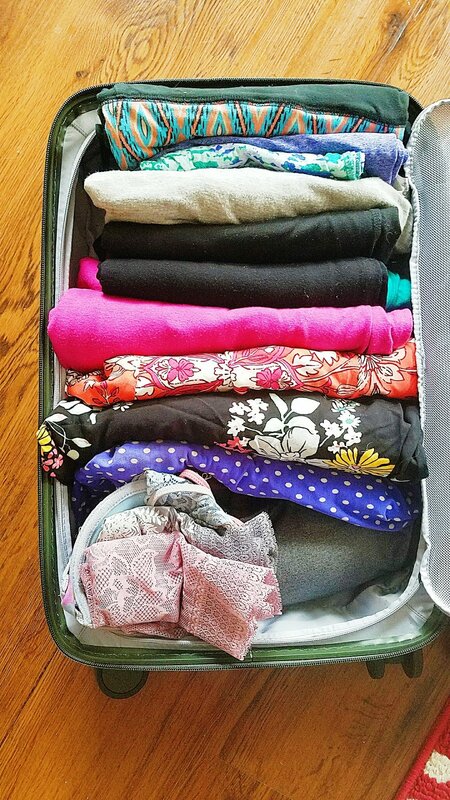 A weeks worth of clothes in one small case! Like a packing boss! 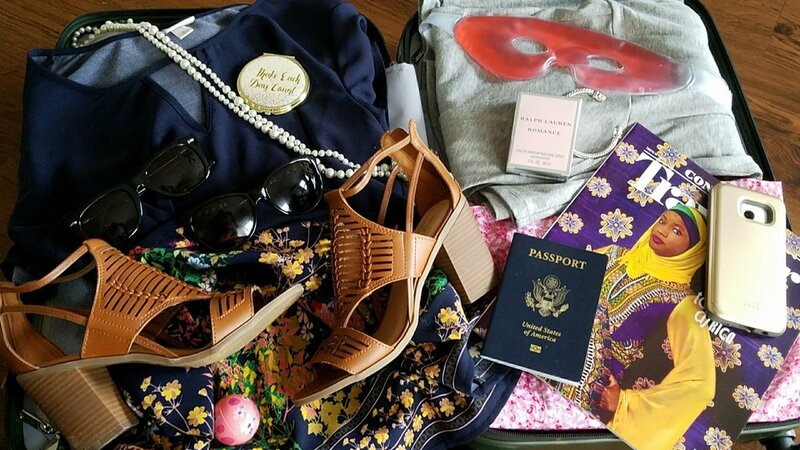 What I Loved: It probably won't surprise you that one of my favorite things about my Raden A22 suitcase are the wheels . I am in love with those beauty pageant, 360 spinners. I find myself gliding around just like those passengers in Beijing, eating an ice cream cones, not worrying about throwing my back out to get from point A to B . I'm also in love with that extra long, telescope handle. No need to bend or stretch to pull the case. I can extend it fully and slide on another bag like my laptop tote and kill two birds with one stone. I am nearly hand free! 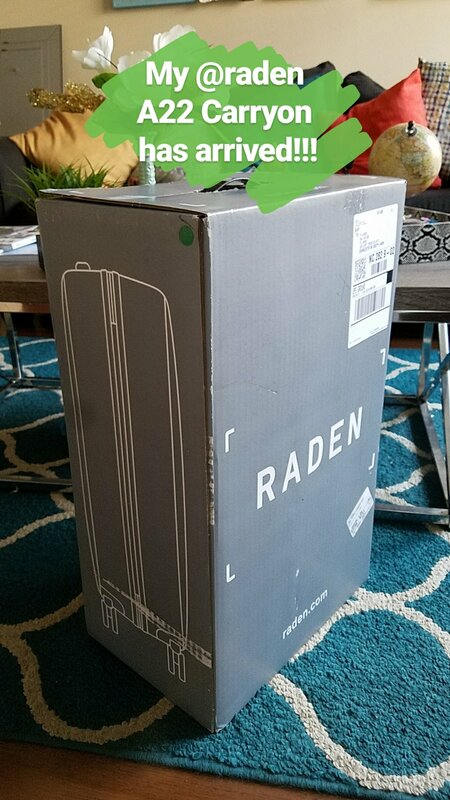 It may seem like I'm easy to please and everything I've noted sounds pretty standard in a bag, but Raden goes above and beyond. Who doesn't love convenience? I've got Starbucks cups to hold, people! What could be better: There's no Android app! -The Polycarbonate suitcases are extremely durable. I sat on it and it was strong enough to withstand impact. And Flexible enough to return to original shape and design. -The battery pack comes out it you want that extra space. Or to hid money and valuables while in the hotel. 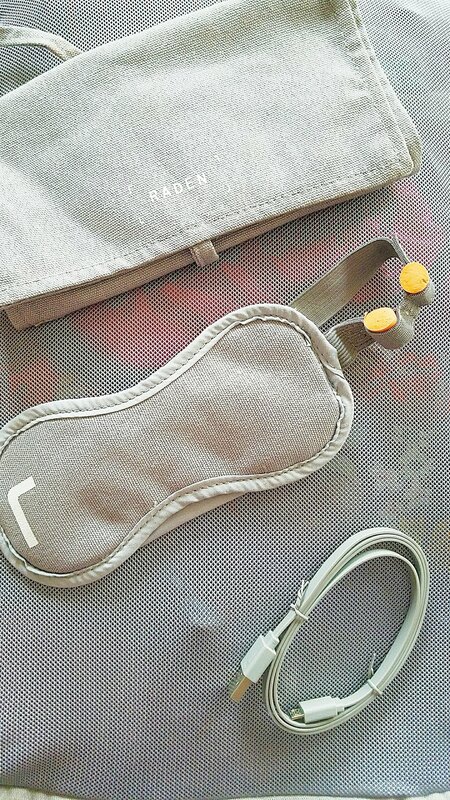 -The suitcase comes with ear plugs and a sleep mask because Raden somehow knows I don't like being talked to on the plane. And I love sleep. -It comes in a myriad of really cute colors. I may need the pale pink one next. -I love this carry on and use it for all my overnights. I refuse to pick up a bag or put stress on my shoulder ever again. Enter to here a Raden A50 set and some sweet swag!!! Disclaimer: I was provided a Raden A22 for review, but as always, opinions are entirely my own.